BC 3/204 (2). 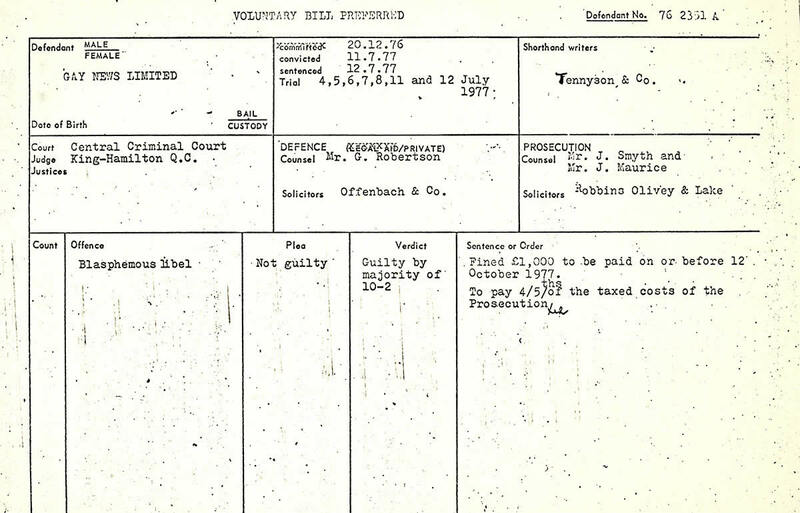 Legal conviction against Gay News Limited for blasphemy, 1977. Discover the details of some of the many historic cases and trials ranging from blasphemy and witchcraft through to slavery. Listen and watch ‘On trial’ on our Media Player website. Read articles about ‘On trial’ on our blog.